The Long Beach Island community has always loved and supported its library. Ocean County Library services began on LBI in the 1920s with library stations like those in Mary and Al Houghton’s Clam Bar in Harvey Cedars, and Mabel Butler’s home in Barnegat Light. But as our communities grew, it became increasingly impractical for private citizens to maintain them. 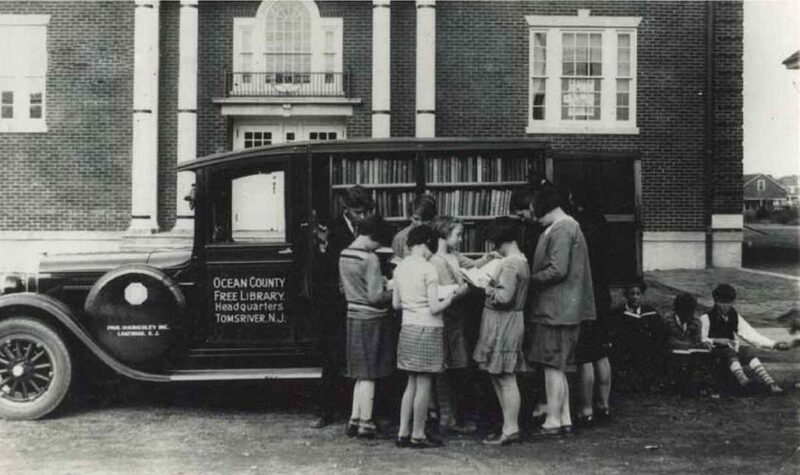 In order to keep library services available, the Ocean County Library used a panel truck as a primitive bookmobile during the summers of 1949 and 1950. It became so popular that service went year round, one day a month in winter, and one day a week in summer. By 1953, the bookmobile was circulating 1000 books per trip to Island residents. Service steadily increased to meet demand to 3 days a week in summer, and every other week in winter. It became obvious the bookmobile was not going to suffice. 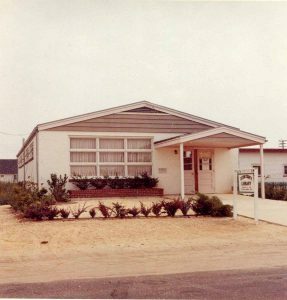 In 1956, Long Beach Township officials, with the help of the Rotary Club of LBI, got a 20’ x 20’ room in the township building together as a library, and it became the first branch of the Ocean County Library. Both books and library staff were provided by the County, and the branch was open every day except Sunday in the summer, and one day a week in winter. The local collection included 3500 books, and many other titles could be requested from the main branch. Even that room was quickly outgrown; there was no room for tables and chairs for customers to read or do reference work. Long Beach Township was also growing, and needed that room back. At the end of 1958, Mayor Howard Schifler advised Miriam Evans, the Director of the OCL from 1948-1971, that the library would have to go. The Ocean County Library Commission did not budget funds for renting or building library facilities. Neither was the initiative forthcoming from the Island towns to finance and construct a library building. Director Evans made the proposal that a group be formed to work quickly to find a permanent home for the Island Library. This is when the Friends of the Island Library were founded, and they sprang into action. They searched for land, noting that the library should be centrally located. Their big break came on May 19, 1959, when Oliver and Josephine Cox offered to give the Friends a 40’ x 100’ lot on West 16th Street in Ship Bottom. This development really got things moving, and donations began rolling in – donations of not only money, but labor, architectural plans, legal services, and building materials. After 7 months of diligent organizing, negotiating, planning, and fundraising, the trenches were dug for the foundation on Saturday, August 15, 1959. In the ceremony on August 22, the cornerstone was dedicated to Josephine Thomas, who had passed away just the week before. Walls were erected, concrete poured, utilities connected, and doors and windows installed. Over Christmas break in 1959, students from Southern Regional High School helped transport the 3500 volumes from the municipal building to the spacious new library on West 16th St. In the space of less than a year, the LBI library had gone from the threat of homelessness to a 1,750 sq. ft. building built by the community. Yet within 10 years, what had once been considered spacious, the new library, that should have housed a recommended 10,000-15,000 volumes, contained over 20,000 books and had become the third busiest branch in the system, circulating over 40,000 volumes a year. It should be noted that, because the Friends owned the library building, they were responsible for paying the utility bills, and for maintenance, repairs, landscaping, etc. While the towns had always given some financial support to the Friends, no money had ever been forthcoming without annual request. Years ago, the towns had made the commitment to provide County library services through the dedicated tax, but no commitment had been made for the periodic expansion of the library building to keep pace with the needs of the growing community. Therefore, the Friends assumed it was incumbent upon them to obtain a larger facility, so, in the early to mid-1980s, they began to look for a larger property. Several places that had been considered were the Bell Telephone building, which became the Comcast office; the kindergarten area of the Ethel Jacobsen School due to declining enrollment; and the Bell Telephone business office building, which is now Island Medical and Snyder Eye Group. Things were going nowhere. The Friends had taken the lead position in striving for a goal that involved the interests of many different entities. Consequently, each suggestion the Friends made for a new location opened up a new round of debate and controversy with the mayors and governing bodies of the 5 towns, the Ocean County Freeholders, and the Ocean County Library Commission and Administration. Right into the middle of this walked Elaine McConnell, the brand new Director of the Ocean County Library. When a proposal to create three regional libraries in Ocean County was proposed, the Friends went on the offensive, and wrote up a resolution to withdraw from the County system in favor of a joint Long Beach Island Library Commission. This got attention. Not wanting to see the Island withdraw from the County library system, Freeholder Mancini convinced the other Freeholders to change the way libraries were built in Ocean County. He also became a catalyst for more serious and productive negotiations with the other mayors on LBI. A study was conducted in 1985, paid for by the 5 towns that recommended that a larger facility of 5,767 square feet be built. The County committed to the Ocean County Library Facilities Development Plan in July 1986, and groundbreaking for this library took place on March 15, 1988. The campaign had started in March 1981, and the doors opened on May 7, 1989. On the first anniversary of the building, the Friends made a major gift of the sculpture, Dolphins, which hangs over the circulation desk. 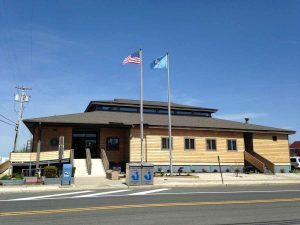 Today, the Long Beach Island branch of the Ocean County Library circulates over 77,000 books, audio books, DVDs and CDs to more than 7,500 customers of all ages. Seven computers are available for the public to use for research, writing, scanning documents and photos, email and games. The meeting room is well-used year-round for meetings, programs, concerts, lectures, and art exhibits. 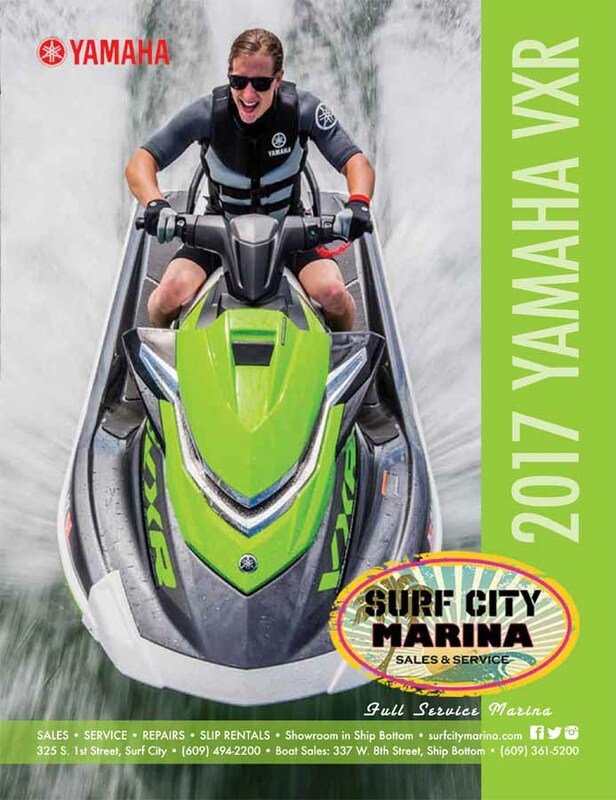 In addition to materials, the Ocean County Library has 3 libraries of e-books, access to more than 100 online databases, 500 online courses from Universal Class, online tutorials from Lynda.com, a collection of e-zines, genealogical materials, and much more. From bookmobile to community center, books to electronic resources, the Long Beach Island Library has always been at the heart of the community. By Linda H. Feaster, Branch Manager, Long Beach Island branch of the Ocean County Library. To learn more, read the book, The Best of Friends, by Linda Feaster and Barbara Jaskolowski available at the branch to borrow, or to purchase for $10, which benefits the Friends of the Island Library.